MOSUL, Iraq — For nearly 2½ miles along the western bank of the Tigris River, hardly a single building is intact. 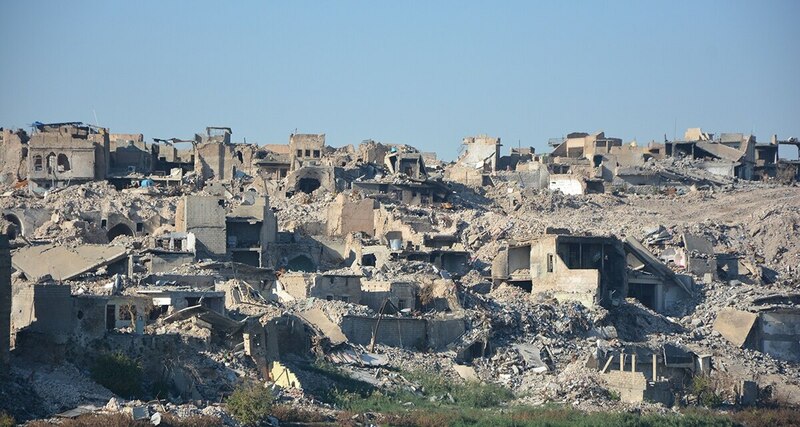 The warren of narrow streets of Mosul’s Old City is a crumpled landscape of broken concrete and metal. Every acre is weighed down by more than 3,000 tons of rubble, much of it laced with explosives and unexploded ordnance. Three years of war devastated much of northern and western Iraq. Baghdad estimates $100 billion is needed nationwide to rebuild. Local leaders in Mosul, the biggest city held by ISIS, say that amount is needed to rehabilitate their city alone. Nearly every city or town in former ISIS territory needs repair to one degree or another. The longer it takes, the longer many of those who fled ISIS or the fighting remain uprooted. While 2.7 million Iraqis have returned to lands seized back from the militants, more than 3 million others cannot and they languish in camps. Worst hit is Mosul; the U.N. estimates 40,000 homes there need to be rebuilt or restored, and some 600,000 residents have been unable to return to the city, once home to around 2 million people. 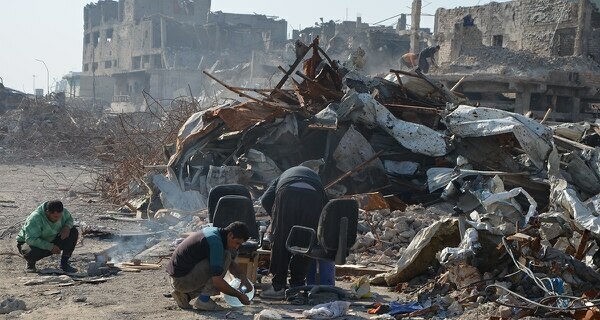 Streets are now knee-deep in rubble from destroyed homes. The few high buildings of six or seven stories have been blasted hollow, reduced to concrete frames. Shopping centers and office buildings are pancaked slabs. Almost all that is left of the 850-year-old al-Nuri mosque, blown up by ISIS fighters as they fled, is the stump of its famed minaret. There were effectively two battles for Mosul. The first, from October to February, freed the city’s east, which survived largely intact. The second pulverized the west side. There, ISIS dug in and the Iraqis and U.S.-led coalition upped their firepower, culminating in house-to-house fighting in the Old City. The city, which ISIS overran in the summer of 2014, was declared liberated in July. An Associated Press investigation found at least 9,000 civilians died in the assault to retake Mosul, most in the west. It’s been more than a generation since the last comparable fight to seize a city. Military experts compare the assaults on Mosul and ISIS-held Raqqa in Syria to the devastating 1968 battle for the Vietnamese city of Hue. The enormity of the task ahead in Mosul can be grasped by what has — and hasn’t — happened in Ramadi , the capital of Iraq’s western Anbar province. 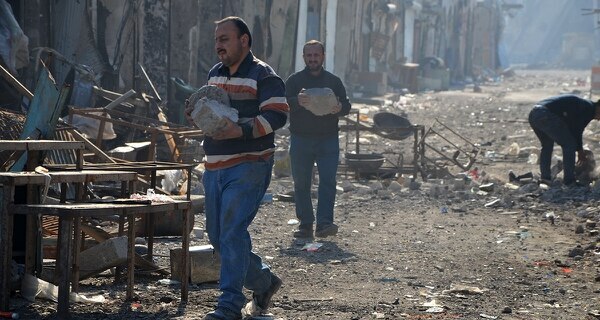 Two years after it was retaken from ISIS, more than 70 percent of the city remains damaged or destroyed, according to the provincial council. Most of Ramadi’s pre-ISIS population of around a half million has returned. Restaurants and shops are reopening along main streets, and traffic churns through scores of checkpoints. Iraqi officials cite that as a sign of success. Douglas Silliman, the U.S. ambassador to Iraq, blamed the destruction of Iraqi cities squarely on ISIS fighters.